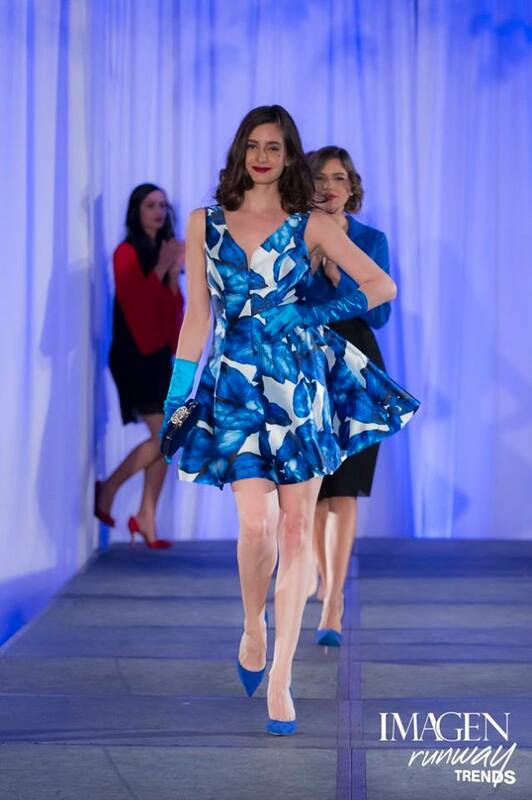 Larissa Santiago, shown at right in a Chic Boutique dress, walked in the Imagen Runway Trends fashion show (sponsored by Imagen Nuestra Revista). The runway show took place in December at the Caribe Hilton, located in San Juan, Puerto Rico. Due to popular demand, Vladimir Ríos and Lester Blum's photo series I Still Remember is extending its current exhibition at the Staten Island LGBT Community Center (located in the Tompkinsville section of Staten Island) until Saturday, January 23, 2016. The photo series is a narrative taken by photographer Blum featuring Ríos (who also served as artistic director) as one of the two lead characters. The photo series, which deals with the HIV/AIDS pandemic in late-1980s/early-1990s New York, has been published as photo books and is hitting the art gallery circuit. The exhibition opened on Tuesday, December 1, 2015 in commemoration of World AIDS Day. For more information, click here. Raquel Almazán was featured in a NowThis (NT) video, where she was a panelist at the National Immigration Integration Conference (NIIC), which took place in December in New York City at the Marriott Brooklyn Bridge (located in Brooklyn Heights). For more information on the conference, click here, or on the video below. Luis Salgado was interviewed by Rhina Valentín for the talk show "Open" (BronxNet), where he talked about his life and career as a Broadway performer (specifically his current stint in the Broadway musical On Your Feet! : The Story of Gloria and Emilio Estefan; book by 2015 HOLA Awards honoree Alexander Dinelaris, music by Gloria and Emilio Estefan, directed by Jerry Mitchell, and choreographed by Sergio Trujillo). To see the interview, click here or on the image below.